You’re driving, and something terrible happens with your car: Your brakes fail or your steering fails and you’re forced off the road, hopefully not dying in the process. You learn that others have had the same issue, and yet the National Highway Traffic Safety Administration doesn’t seem too concerned. But, as The New York Times reports, there is a little-known way to change that. It’s called a defect petition, a tactic that’s been on the books for decades but is still rarely-used, with just four being filed so far this year. Anyone is eligible to file one and, at the very least, filing a defect petition forces NHTSA to investigate your complaint and tell you in a written statement whether there’ll be a recall and, if not, explain why. Recall Management — Investigation of the effectiveness of safety recalls. After conducting a technical analysis of such a petition, ODI informs the petitioner whether it has been granted or denied. If the petition is granted, a defect investigation is opened. If the petition is denied, the reasons for the denial are published in the Federal Register. Similarly, a person may submit a petition requesting NHTSA to hold a hearing on whether a manufacturer has reasonably met its obligation to notify and/or remedy a safety defect or noncompliance with a Federal motor vehicle safety standard. If the petition is granted, a hearing is held to assess the matter and decide what corrective action should be taken. If the petition is denied, the reasons for the denial are published in the Federal Register. The upshot of all that is normal complaints—submitted via a prominent button on NHTSA’s website—can be screened, while defect petitions, by law, must be reviewed one-by-one and taken more seriously. Of course, this also means defect petitions are also more rigorous than normal complaints for the filer. In addition, like normal complaints, they must only pertain to potential safety issues and not, say, your busted air-conditioning. Filing a defect petition is far from a guarantee that a recall will happen—NHTSA is largely understaffed and overwhelmed—but the tactic has worked in the past. Forty-three defect petitions were sent to the agency over the last decade. Concerns included engine stalling, brake problems, airbag failures, headlight failures, unintended acceleration, an uncomfortable ride, faulty gas gauges and gas tanks prone to exploding in rear impacts. Twelve of the 43 petitions resulted either in recalls or extended warranties covering about five million vehicles. Instructions for filing such a petition are on NHTSA’s website, but the steps are a bit abstruse, so if you hope to file, plan to put in some time and effort. And because of NHTSA being NHTSA, also plan for a possibly lengthy wait. The agency’s stated goal is to decide whether to grant a petition within 120 days. But it often fails to do that. The agency has one petition from 2018 that is late and one each from 2017, 2016, 2015, 2014 and 2013. But it isn’t hopeless, and the auto industry is such that it often takes PR campaigns and sustained media attention to prompt automakers to do anything, such is the expense and bad press that goes along with big recalls. Still, as the NYT reports, it really is possible for one person to do it themselves. One of those was filed by Troy Lyman, a computer programmer from Winchester, Calif., who owns a 2007 Saturn Sky. A major concern among Sky owners, which arose around 2015, had been a sensing mechanism failure that could prevent the passenger-side airbag from deploying. The agency granted his 2016 petition and began asking General Motors about the issue. Early in 2017, G.M. 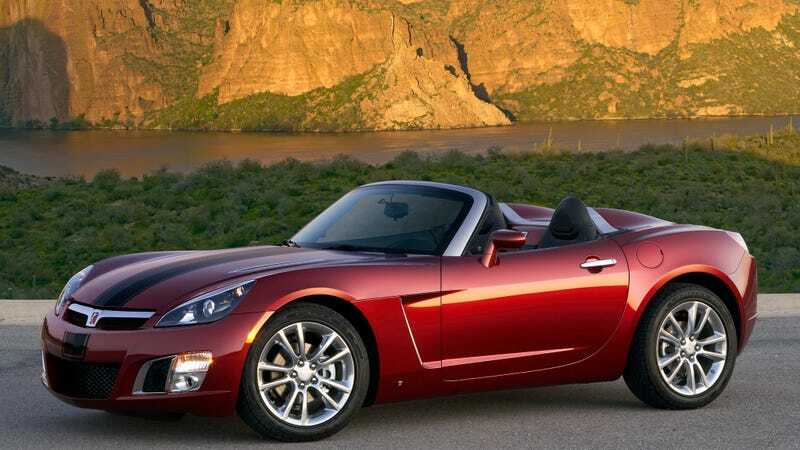 announced a recall of 91,000 2006-10 Pontiac Solstice and 2007-10 Saturn Sky models. One of the oldest recalls in part prompted by a defect petition is also one of the more infamous problems in automotive history, the recall of 1971-1976 model year Ford Pintos for fire danger. Though later review argued the car was no more dangerous than its contemporaries, the Pinto developed a deadly reputation for going up in flames after low-speed rear collisions. It took years of press and defect petitions from the Center for Auto Safety, but in June 1978 Ford finally issued a recall. A month after that, Ford’s President Lee Iacocca, who had been instrumental in developing the Pinto, was fired.